As a trusted advisor to leading industry figures and organizations, Attorney Marija Kristich Decker, a partner at the Pasadena law firm of Laquer Urban Clifford & Hodge, LLP, provides extensive experience in employment law and employee benefits. Ms. Decker focuses her practice on representing multi-employer trust funds in ERISA litigation concerning plan contributions, fiduciary issues, health and welfare issues and benefit disputes. She also has in-depth knowledge of Qualified Domestic Relations Orders (“QDROs”) governed by ERISA. 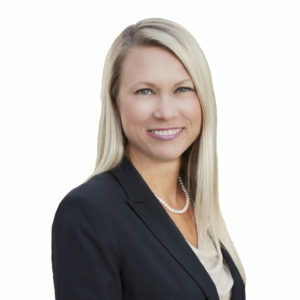 Ms. Decker’s primary areas of focus in her legal practice include: counseling and litigation (when necessary) in the areas of termination, ADA compliance, hiring, leaves of absence, prevention of harassment, discrimination and wage and hour issues, and compliance with the Affordable Care Act. Her clients include the Boards of Trustees of multi-employer trust funds, privately held businesses, and government agencies. In addition to her legal expertise in these areas, Ms. Decker is known for crafting legally compliant leave policies that promote and enhance workplace satisfaction and productivity, such as pregnancy and parental leaves under the Family Medical Leave Act. She routinely advises clients concerning HIPAA, COBRA and ERISA issues, and as an added benefit prepares her clients’ employee handbooks and agreements relating to employment and severance, confidentiality and nondisclosure, and independent contractors. Earlier in her career at the firm, Ms. Decker served as outside counsel for the County of Los Angeles on various employment related matters, representing the Fire Department and Department of Health Services before the Civil Service Commission, Employee Relations Commission, the Department of Industrial Relations, and in state and federal courts. Ms. Decker has several published decisions to her credit resulting from her representation of trustees of multi-employer trust funds, i.e., Trs. of the Operating Engineers Pension Trust, et al. v. Smith-Emery Co., 906 F.Supp. 2d 1043 (C.D. Cal. 2012); Trs. of the Operating Engineers Pension Trust, et al. vs. Smith- Emery Co., 2013 WL 3367512 (C.D. Cal. 2013); Trs. of the Operating Engineers Pension Trust, et al. v. Smith–Emery Co., 2013 WL 5315249 (C.D. Cal. 2013), rev’d and rem’d by Trs. of the Operating Engineers Pension Trust, et al. v. Smith-Emery Co., 645 Fed. Appx. 581 (9th Cir. 2016), later proceedings at Trs. of the Operating Engineers Pension Trust, et al. v. Smith-Emery Co., 2017 WL 275599 (C.D. Cal. 2017); Trs. of the Operating Engineers Pension Trust, et al. v. Smith-Emery Co., Case No. CV-09-01476 CAS (VBKx) (Civil Minutes – Smith-Emery Company’s Motion For Reconsideration Denied and Trustees’ Motion for Entry of Judgment granted), appeal after remand at Trs. of the Operating Engineers Pension Trust, et al. v. Smith-Emery Co., Case No. 17-55240 (Voluntarily dismissed by Smith-Emery Co.); Trs. of the Operating Engineers Pension Trust, et al. vs. Nancie’s Sweeping, Inc., 2009 WL 2524772 (C.D. Cal. 2009), Trs. of the S. Cal. Pipe Trades Health & Welfare Trust Fund, et al. v. Temecula Mech. Inc., 438 F. Supp. 2d 1156, (C.D. Cal. 2006). Prior to joining Laquer Urban Clifford & Hodge, LLP, in September of 2001, Ms. Decker served as a law clerk for the Honorable Edward J. Damich of the United States Court of Federal Claims from September 1999 through August 2001. Previously, she served as the National Coordinator and Lobbyist for the National Federation of Croatian Americans in Washington, D.C., between 1994 and 1996, helping those of her own Croatian cultural heritage. Ms. Decker received her Juris Doctor degree from Syracuse University College of Law where she was an Associate Editor of both the Syracuse Journal of International Law and Commerce and The Digest (the National Italian American Bar Association Law Journal). She received her Bachelor of Science degree in Public Administration from the University of Southern California, after which she worked as an intern on Capitol Hill for Congressman Edward R. Royce. Ms. Decker is licensed to practice law in the states of California, New York, Texas, and the District of Columbia. She currently holds memberships in the State Bars of California, New York, Texas, and the District of Columbia, and is a member of the International Foundation of Employee Benefit Plans, the Los Angeles County Bar Association, and ProVisors. Ms. Decker has also received training in mediation from the Los Angeles County Bar Association Civic Mediation Project. In addition to being recognized as a Top Attorney by Pasadena Magazine for the period of 2012 through 2017, Ms. Decker is active in many areas of community service. She currently serves as a Commissioner on the Parks & Recreation Commission for the City of La Cañada Flintridge where she advises the City Council on various matters pertaining to parks and recreation. Ms. Decker is an advocate for health and wellness issues. Ms. Decker served as the Chairperson for Palm Crest Elementary School’s Site Council from 2011 through 2014, as Head Coach for AYSO from 2008 through 2013, and as Head Coach/Manager for the La Cañada Baseball and Softball Association from 2011 through 2015. She enjoys Pilates, running, softball, volleyball, and is an avid fan of baseball and James Bond movies.